Since April 2003, the U.S Congress has allocated more then $46 billion towards Iraq reconstruction. 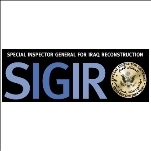 The Special Inspector General for Iraq (SIGIR) is a temporary federal agency that takes on the role of a watchdog for the abuse of funds intended for Iraq reconstructions programs. SIGIR continually assesses all projects and programs in Iraq in order to ensure that all money is accounted for and is used effectively and efficiently by U.S government Officials, Iraqi Government as well as U.S contractors. Since 2004, SIGIR has issued 73 audit reports and seized more than $17 million in assets. SIGIR’s work has also led to the arrest of five individuals and the conviction of four for defrauding the U.S government. However, the SIGIR has noticeably failed to control corruption and cronyism in the awarding of contracts and the use of funds once they arrive in Iraq. When the U.S. Congress allocated funds for Iraq relief and reconstruction, it also passed legislation to establish a specialized Inspector General to provide accountability for the use of those funds. The office of Special Inspector General of Iraq was created by Congress in October 2004 as the successor to the Coalition Provisional Authority Office of Inspector General. SIGIR conducts audits to find out whether programs and operations, that are funded by the Iraq Reconstruction are achieving the desired outcomes in reference to what was previously planned, with the goal of ensuring accountability and improving project and financial management. The Inspector General reports to both the Secretary of State and the Secretary of Defense with all audits and findings. SIGIR oversight is accomplished via independent audits, field inspections, and criminal investigations. Inspector General found $8.8 billion of funds to Iraqi reconstruction unaccounted for as a result of poor management by the Coalition Provision Authority. Auditors were unable to verify that the money was used for its intended purposes. SIGIR also discovered the loss of 14,000 weapons that were supposed to be sent for the Iraqi Government. Special Inspector General Stuart Bowen reported in 2007 that the U.S government paid one of Blackwater’s competitors, Falls Church, $43.8 million to build a camp for the purpose of training Iraqi police officers. Falls Church built a residential trailer camp that was never used for its intended purpose. Falls Church did manage to spend $4.2 million dollars on VIP trailers and an Olympic-sized swimming pool, both of which were unauthorized projects. Since 2005, SIGIR project assessment program has been conducting both construction and sustainment assessments. Construction assessments include; checking that projects are adequately designed prior to the start of construction or installation, that the construction meets the standards of the design and that the contractor’s quality control plan had been accomplished. Sustainment assessments include: checking for project sustainability and determining whether the project is operating at the capacity stated in the contract or objective. Stuart W. Bowen, Jr. received a B.A. from the University of the South, He attended Vanderbilt Law School, and received a J.D. from St. Mary's Law School. Bowen is licensed by the Texas State Bar, Board Certified in Administrative Law by the Texas Board of Legal Specialization, and admitted to practice before the United States Supreme Court, a variety of lower Federal courts, and all Texas state courts. Bowen also spent four years on active duty as an intelligence officer in the U.S. Air Force, achieving the rank of Captain. From 1991 to 1992 Bowen served as Briefing Attorney to Texas Supreme Court Justice Raul Gonzalez and from 1992 to 1994 he served as Assistant Attorney General of Texas. From 1994 to 2000 Bowen held several positions on Governor George W. Bush’s Staff in Texas, including Deputy General Counsel, Deputy General Counsel for Litigation, and Assistant General Counsel. 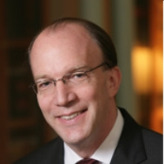 Bowen has served Bush as president as Deputy Assistant to the President and Deputy Staff Secretary and Special Assistant to the President and Associate Counsel. Bowen was appointed Special General for Iraq Reconstruction in October 2004. Unfortunately, Bowen’s office itself has been accused of overspending and mismanagement. SIGIR employees claim that Bowen’s overtime policies allowed 10 staff members to earn more than $250,000 each last year. These employees have also challenged a $3.5 million book project about Iraq’s reconstruction modeled after the 9/11 commission report. They have also alleged that Bowen and his deputy snooped through their staff’s email messages without warning or approval. Federal prosecutors have presented these wrongdoings to a grand jury in Virginia, which has subpoenaed SIGIR for thousands of pages of financial documents, contracts, personnel records and correspondence.